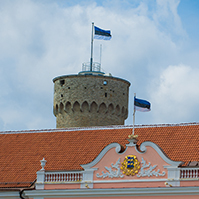 The Riigikogu passed with 76 votes in favour the Code of Criminal Procedure Amendment Act (947 SE), initiated by the Government of the Republic. 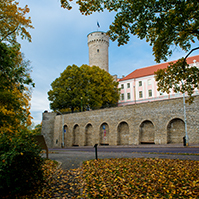 Pursuant to the Act, in addition to the Harju County Court, other county courts also have the right to issue permission for covert investigation in criminal proceedings. As a result of this amendment the prosecutors outside Tallinn no longer need to come to Tallinn to request permissions. This helps to save considerable amounts of time and money. The chairman of a county court will be authorized to appoint up to three judges with the right to issue permissions, in order to decrease the workload of judges. The right to issue permissions for covert investigations may be given to 16 judges in all, instead of 2 at present. 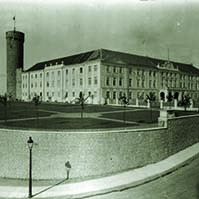 The Riigikogu passed with 80 votes in favour the Commercial Code and Associated Acts Amendment Act (991 SE), initiated by the Government of the Republic. The Act enables to review the applications for the Commercial Register and to make register entries by way of expedited procedure. Initially this can be applied to the first entries of private limited companies, sole proprietors, general and limited partnerships, and the amending entries of sole proprietors and companies (public limited companies and commercial associations included). In case of the expedited procedure the necessary data may be submitted to the court in charge of the register by way of Internet, without notarial mediation. In the work organisation and resource distribution of the courts in charge of the register and the Centre of Registers and Information Systems the objective is to proceed from 2-hour procedure speed. The maximum time limit of an ordinary procedure of the Commercial Register was decreased from 15 calendar days to 5 working days. 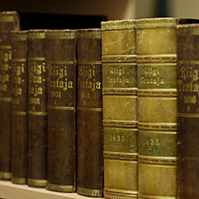 The Riigikogu passed with 75 votes in favour the Code of Civil Procedure and Associated Acts Amendment Act (966 SE), initiated by the Government of the Republic. The Act eliminates the conflicts and ambiguities which appeared in connection with a new Code of Civil Procedure, enforced on 1 January 2006. Among other things, the Code stipulates the regulation of payment orders in expedited procedure, which is necessary for accelerated and simplified handling of financial claims. The objective of such a simplified procedure is to enable the courts to solve the claims of negligible value and uncontested claims as quickly as possible and without unnecessary waste of time and money. The Riigikogu passed with 72 votes in favour the Victim Support Act Amendment Act (980 SE), initiated by the Government of the Republic. The primary purpose of the Act is to solve a practical problem emerged in rendering victim support services: the need of victims and their family members to get professional psychological aid in order to restore their social coping skills. The benefits paid pursuant to the Victim Support Act will also increase in case of property damages as well as physical violence suffered through crimes of violence. The Riigikogu passed with 62 votes in favour the Act on Amendments to the Public Health Act and to the Associated Food Act, Prevention and Control of Communicable Diseases Act, Infectious Animal Disease Control Act and Water Act (955 SE), initiated by the Government of the Republic. The Act assigns the Government a duty to establish health protection and safety requirements for swimming pools, pools and water centres, and to work out a relevant regulation. The Act obligates, among other things, the providers of swimming pool services to check the used water in labs and to ensure the availability of the relevant information. The Riigikogu passed with 64 votes in favour the Fishing Act Amendment Act (905 SE), initiated by the Government of the Republic. Pursuant to the Act, supplementary and stricter measures will be applied to the establishment of supervision over illegal fishing and marketing and for the decrease of fishing capacity of the Estonian fleet. Proceeding from the above, preference will be given to the applicants of structural aid who give up their historical fishing rights. The amendment to the Act entitles the Minister of the Environment to impose restrictions on the amount of fish permitted to be caught recreationally during a 24-hour period. 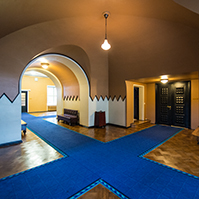 The Riigikogu passed the Resolution of the Riigikogu On the Termination of the AS Eesti Raudtee Privatisation Agreement on Mutual Consent and on the Approval of the Acquisition of Majority Ownership of the AS Eesti Raudtee (1031 OE), submitted by the Government of the Republic. The Resolution approves the AS Eesti Raudtee Privatisation Agreement, concluded between the Republic of Estonia, Baltic Rail Services Ltd and AS Eesti Raudtee on 30 April 2001 and its integral annex concerning the termination of the shareholders’ contract on mutual consent. The Resolution also approves the price of the deal of EEK 2.35 billion. The Bill on Amendments to the Social Tax Act (1032 SE), initiated by the Government of the Republic; The Social Democratic Party Faction moved to suspend the second reading of the Bill. The motion was not supported. The result of voting: 6 votes in favour, 62 against. The Bill on Amendments to the Imprisonment Act and Code of Criminal Procedure (964 SE), initiated by the Government of the Republic. 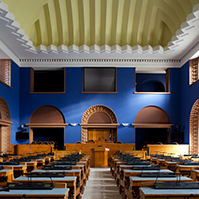 On the motion of the Estonian Reform Party Faction the second reading of the Bill on Amendments to the Insurance Activities Act (995 SE), initiated by the Government of the Republic, was suspended. The result of voting: 41 votes in favour, 30 against. On the motion of the Estonian Centre Party Faction the second reading of the Bill on Amendments to the Estonian National Broadcasting Bill (965 SE), initiated by the Government of the Republic, was suspended. The result of voting: 48 votes in favour, 35 against. The Bill on Amendments to the Public Information Act and Associated Acts (1027 SE), initiated by the Government of the Republic. At Question Time Minister of Economic Affairs and communications Edgar Savisaar answered the questions about hazardous loads, subsidies to public transport, international cooperation and value added taxes to thermal energy. Minister of Defence Jürgen Ligi answered the question about danger assessment and defence willingness. The sitting ended at 7.40 p.m.